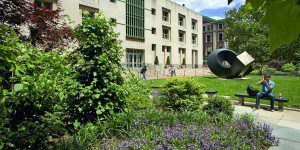 Home » Featured Home » Are Business Schools Equipped to Handle Climate Change? Are Business Schools Equipped to Handle Climate Change? The United Nations’ panel on climate change issued an alarming warning earlier this month. In order to avoid worsening events such as increasingly deadly storms and heat, the extinction of coral, and ever rising sea levels, member nations must act fast. Global leaders of business must pay particular attention to this warning, as the world economy will need to transform in order to support the vital decrease of carbon emissions. MBA students have had to adjust to the reality that they will emerge into this transforming economic landscape. As the current U.S. government resists the taxing of carbon, companies will find it necessary to take it upon themselves to reduce carbon emissions in order to remain competitive internationally. Large companies have begun adopting certain norms of sustainability at the operational level with greener vehicles, energy efficient building systems, and the reduction of wasteful packaging. But the UN’s report indicates that this is not enough on its own. In a Harvard Business Review article summarizing the results of the panel’s findings, Andrew Winston notes that there are some “somewhat uncomfortable” actions that can be taken to accelerate climate action. First, he says, companies can lobby for policies that are pro-climate at all levels of government, in addition to allying with trade organizations that will support a higher cost for carbon consumption. This point is exceedingly important, considering Climate Accountability Institute research that reveals that more than 70 percent of all global carbon emissions come from just 100 companies. Climate Accountability Institute research finds that major fossil fuel companies like ExxonMobil produce the most carbon emissions in the world. Secondly, Winston says, business leaders can be vocal about their support of the facts about scientific research on warming. In an increasingly dissonant political conversation around the impact of climate change, companies can assert their trust in science to prove the reality of the situation. At the customer engagement level, companies can speak directly to their users about what they can do to engage in sustainable practices. With the use of social media, advertising and packaging, companies can heighten awareness on the part of the customer. Companies can also invest in technologies and tools that aim to reduce carbon emission, the most accessible of which are solar and wind power. The overall message from the IPCC’s report is that while companies have been engaging in sustainable practices in order to improve and maintain ROI, they must take a more proactive role that may be costly in the short term but life-saving in the future. Business students are emerging into an economy that is vastly unlike that of their predecessors. Rolf Wüstenhagen, a professor from Switzerland’s University of Gallen, wrote recently on the necessity of business educators to put climate change at the forefront of their schools’ curriculum. Wüstenhagen and a group of his colleagues in the Global Alliance in Management Education have examined how to train future leaders in responsible business practices at every level. “When confronting business students with the scientific evidence on climate change, many tend to be surprised (and, sometimes, scared) about the urgency of the issue,” says Wüstenhagen. The group formed a course format that multiple schools (currently all in Europe) can adopt so that carbon emission reduction becomes a basis for all subsequent business education. Wüstenhagen emphasizes three main areas in the adoption of this format: interdisciplinary knowledge, multilateral negotiation skills, and a solid awareness of values. Back in the U.S., many business schools are also taking climate change seriously. A recent survey conducted by Yale University’s Center for Business and the Environment reveals that 44 percent of business students would accept a lower salary to work for a country with a good reputation in sustainable practices. The survey also reports that the AACSB, which does not yet have a requirement for climate change education in its accreditation standards, does state the teaching of corporate responsibility as a core value. At Columbia Business School, Dean Glenn Hubbard has implemented a multidisciplinary approach to climate change education. His staff works closely with other departments, such as architecture, engineering and the natural sciences to make sure awareness of climate change is at the forefront of the business curriculum. 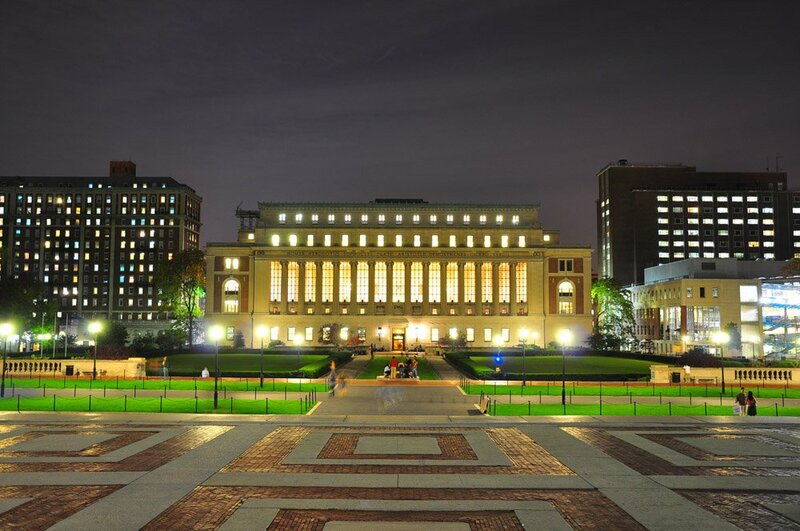 The Columbia Climate Change and Business Program attempts to directly address the crisis. London’s Imperial College Business School offers a Master’s degree in finance and climate change. The degree trains students, whether they’re seeking careers in finance, consulting, engineering, or entrepreneurship, to adopt an array of leadership skills that all focus on renewable energy use. Though the UN’s panel report contained alarming news about the necessity of halting the earth’s rise in temperature, MBAs both in the U.S. and abroad may have confidence in their presence at the nexus of transformation to a sustainable future economy. However, that isn’t to say that there aren’t immediate ideological barriers in the business school community when it comes to direct action. Considering the severity of contributions driven by enterprise to the climate crisis, there remains a giant cloud overhead of the business school community: are they part of the problem? Despite the aforementioned courses offered by celebrated business school institutions, teaching about climate change is still an outlier, according to researcher Genevieve Patenaude. In her work, Global Environmental Change, Patenaude notes that business schools largely ignore the issue all-together. Last year, Nancy E. Landrum, Professor, Sustainable Business Management at Loyola University, wrote that even sustainability courses often fail to address the severity of the issue. This potentially leads to companies making small, incremental changes that do not go far enough. We also found that the majority, or 55 percent, of sustainability readings assigned to business students took a weak sustainability position. The readings take a business-as-usual approach that makes small gradual improvements, pointing to examples such as the printing ink industry’s move to soy- and water-based inks. This supports a “do less bad” approach to sustainability, a far cry from what science tells us is needed. If incremental maneuvers are not enough, how will business schools adapt to the issue, if at all?